We’re kicking off the 2017 Royer’s Kids Club schedule with a free event on Jan. 21 in all stores. 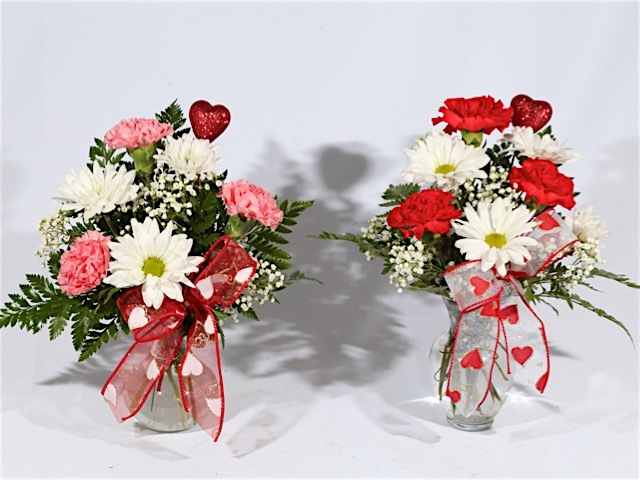 Valentine’s Day is to the floral industry what the Super Bowl is to professional football. But it’s not a perfect analogy because everyone wins when it comes to beautiful flowers, whether you’re on the giving or receiving team. Our pre-game festivities are in full bloom, as evidenced by these photos from our Lebanon distribution center and central design department. With this job, you get to spread love around and earn as much as $100 per day doing it. Royer’s is seeking independent drivers to help us with Valentine’s Day deliveries. For more information about driving opportunities, please contact your nearest store by clicking here. As the Blizzard of 2016 amply demonstrated, Mother Nature has no qualms with interrupting our plans. We’re asking participants to put their hearts into our free Royer’s Kids Club event on Jan. 23. Time slots are available at 10 a.m. and 2 p.m. Registration is required by calling your nearest Royer’s store. 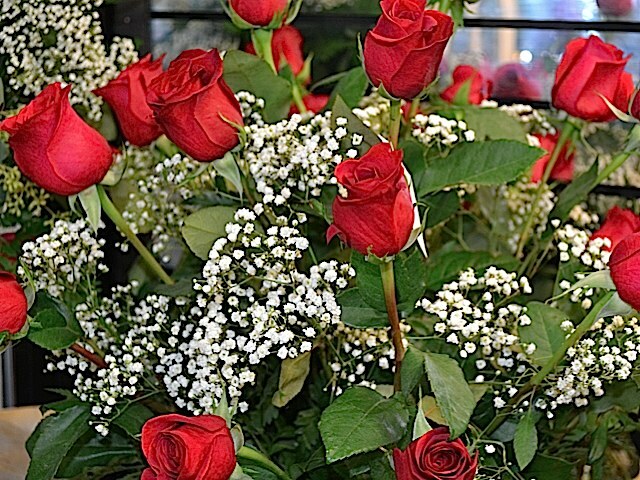 To make a sports analogy, Valentine’s Day is a florist’s version of football’s Super Bowl. So consider what you are seeing in these photos — taken at our distribution center and central design department in Lebanon — as our pre-game show. Kickoff is five days away. 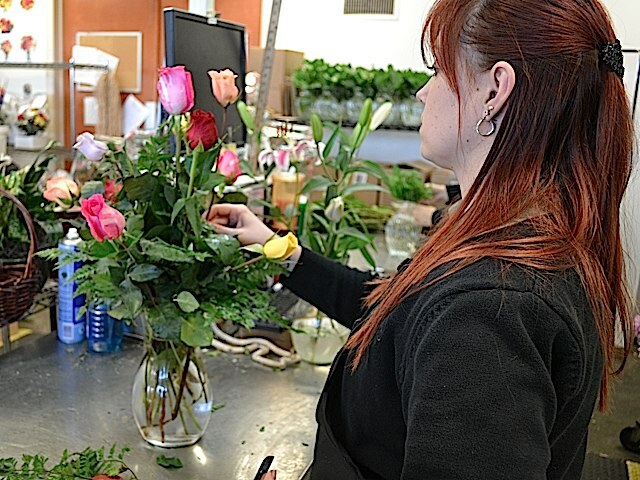 Of course, we’ll deliver roses to thousands of homes and businesses this Valentine’s Day. But we’ll reach an even bigger audience with our new television commercial. 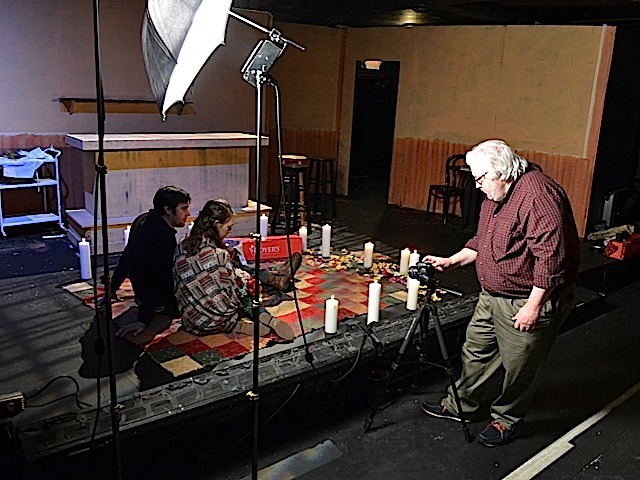 Greg Royer, our president and CEO, worked with Len Smith of Turning Point Media to develop the 30-second spot, which we shot in January at Genesius Theatre in Reading. 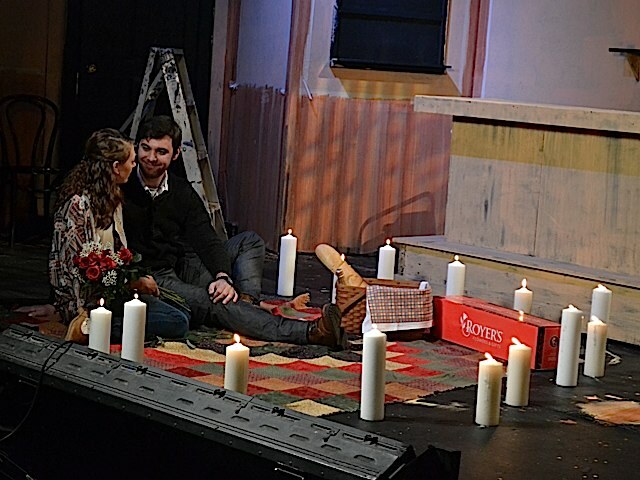 After a casting call held at the theater, we selected two actual young, aspiring actors, Hanna Weiss and Joe Swaggerty. He developed the basic idea in his “mind’s eye,” Len said, but he didn’t want to leave anything to chance or “extemporaneous “inspiration” given the need to be efficient with time and costs. “I knew the basic flow of the action that I wanted to have happen, but felt I needed to map it our scene by scene to make sure we got everything I needed when it came time to editing,” he said. 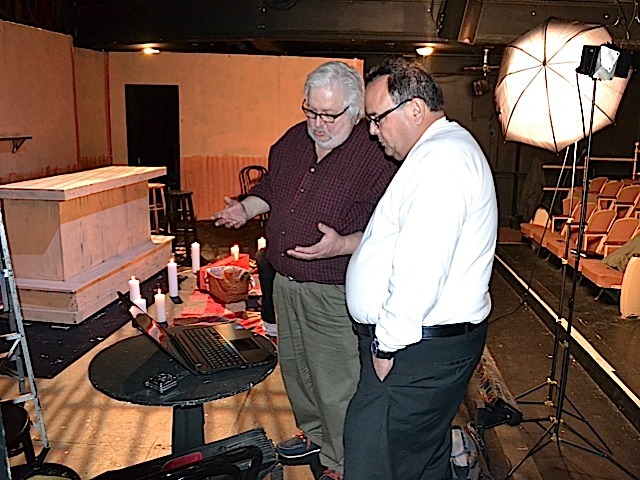 Len, left, and Greg Royer review the photography on a laptop. 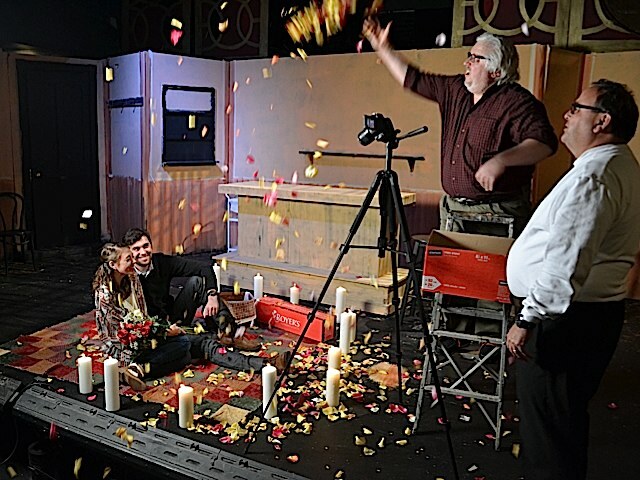 Here’s the answer to the question you might ask when you see the finished spot: How did they make it rain rose petals on the young couple? Len, a ladder and a box of rose petals. 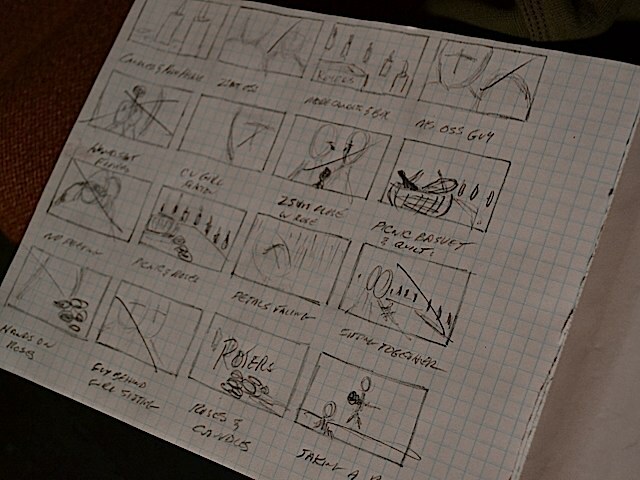 Now, put these and other scenes together and you have our commercial. Enjoy! What’s more, Royer’s offers a special incentive: Have your Valentine’s Day order delivered Feb. 12 or earlier, and the delivery will include a coupon for a free dozen-rose bunch redeemable in March. It’s the thought that counts, so you don’t have to spend a lot to show that you care about someone. In this Fox 43 Morning News appearance, we offer five options for below $50. Royer’s is on site in Colombia, South America, where our flowers are being cut, processed and shipped for delivery to our Lebanon distribution center. This hands-on approach ensures the highest quality product will be in our stores and delivered to homes and businesses throughout Valentine’s Week.